Ralph Citro had a long and distinguished career in boxing. He was first introduced to boxing in 1938 when Tony Janiro and he walked into the YMCA in Youngstown, Ohio. He moved from Youngstown, Ohio to New Jersey in 1930 and resided there until his death in 2004. Ralph's first foray into boxing was as an amateur boxer. He boxed in Ohio, New Jersey and in the All-Pacific Tournament while a member of the U.S. Marine Corps during World War II. As an amateur he compiled an 18-3-0 record. When Ralph returned from the service in 1946 he made an attempt to return to boxing, but did not pursue a career as a professional boxer. Instead he continued in the game by owning and operating gyms on three different occasions. From there he branched out and began managing and training boxers. As a trainer he learned all the intricacies of working on cuts. Ralph studied hard and spent many hours talking to Doctors learning about the human anatomy and the crucial pressure points associated with head injuries. This knowledge served him well. Ralph became and remains the consummate cutman in boxing. He is considered one of the best cutmen in the business and has worked over 100 world championship fights. Ralph also served as a matchmaker for former Heavyweight Champion Jersey Joe Walcott. Later, he co-promoted several shows. In 1981 Ralph started and operated the Central Database for all Boxing Commissions and supplied up-to-date records of boxers throughout the world. The Central Database is one of the most important contributions to boxing in the past 50 years. It allows commissions and matchmakers to make informed decisions based upon reliable information previously unattainable. In 1993, Ralph also started to reconstruct records of old-time boxers from 1930 to 1980. In addition, he was the publisher and editor of "Computer Boxing Update" Record Book, volumes 1 through 10. Ralph was the author of the highly acclaimed "So you want to be a Cornerman." He was also a twenty-year member of the WBA, WBC, IBF/USBA, WBO and NABF. In 1983, he was selected Man of the Year by the USBA. Ralph was inducted into the New Jersey Boxing Hall of Fame on November 10, 1989. The Boxing Writers Association of America awarded him the James J. Walker Award for long and meritorious service to boxing on June 25, 1993. From December 1993 until July 2000, Ralph served as Director of the "International Boxing Resource Organization." (IBRO). Ralph Citro was a boxing jack-of-all-trades - fighter, cutman, author and historian. From 1984 to 1993, Citro was the sole editor and publisher of Computer Boxing Update, an annual record book that tracked results of fights the world over and served as a central database of up-to-date records of boxers. Known as one of boxing's most tenacious record keepers, Citro was director of the International Boxing Research Organization (IBRO) from 1993 to 2000. Citro has spent his life in boxing. He was an amateur boxer (18-3 record), trainer, boxing gym proprietor, and matchmaker for Jersey Joe Walcott. Citro was widely considered one of boxing's top cutmen with over 125 world championship bouts to his credit. Among the many fighters he served as cutman for include Riddick Bowe, Thomas Hearns, Donny Lalonde and Michael Moorer. Citro also authored the book So You Want to Be a Cornerman? 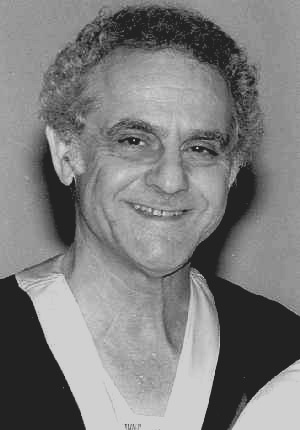 Ralph Citro passed away Saturday, October 2, 2004, at age 78. Ralph was not only a personal friend, but a friend to all boxing historians. Ralph served as Director of IBRO From December 1993 until July 2000. Under his leadership, IBRO became one of the most effective instruments for educating new and old fans about boxing’s rich history and for providing a venue for boxing historians to facilitate their research. You ran a good show my friend, and for that we are forever grateful. Ralph had a long and distinguished career in boxing. He was first introduced to boxing in 1938 when Tony Janiro and he walked into the YMCA in Youngstown, Ohio. He moved from Youngstown, Ohio to New Jersey in the late 1930s and resided there since. Ralph's first foray into boxing was as an amateur boxer. He boxed in Ohio, New Jersey and in the All-Pacific Tournament while a member of the U.S. Marine Corps during World War II. As an amateur he compiled a record of 18-3-0. From there he branched out and began managing and training boxers. As a trainer he learned all the intricacies of working on cuts. Ralph studied hard and spent many hours talking to Doctors learning about the human anatomy and the crucial pressure points associated with head injuries. This knowledge served him well. Ralph was considered one of the best cutmen in the business and worked over 125 world championship fights. Ralph was the author of the highly acclaimed "So you want to be a Cornerman." He was also a twenty-five year member of the WBA, WBC, IBF/USBA, WBO and NABF. In 1983, he was selected Man of the Year by the USBA. Ralph was inducted into the New Jersey Boxing Hall of Fame in 1989 and The International Boxing Hall of Fame in 2001. The Boxing Writers Association of America awarded him the James J. Walker Award for long and meritorious service to boxing on June 25, 1993.